Product #38 | SKU Z-ZG-16 | 0.0 (no ratings yet) Thanks for your rating! Zacuto Universal ZipGear - 13.5-inch adjustable gear. Works on any camera, prime or zoom lens. 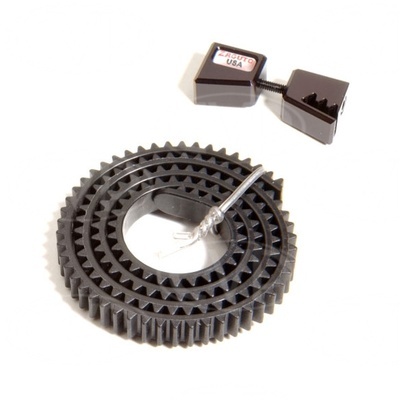 The kit comes with 13.5-inch plastic gear and black gear locking housing. Just wrap the gear around the lens, cut to size, press on gear locking housing and tighten. Installation takes one minute. All zipgears are a .8 pitch.